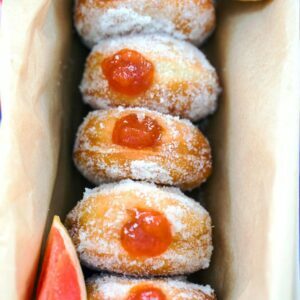 These Grapefruit Donuts are fried to perfection, rolled in sugar, and then filled with a homemade grapefruit jam. Even better? You can fry up these donuts while still keeping your house smelling fresh! This post is sponsored by Febreze ONE. As always, all opinions are 100% my own. Thank you so much for supporting We are not Martha! Back in the day, I was terrified of frying food in my kitchen. Donuts, chicken, apple fritters… I wanted to make them all, but I was so scared. Scared of splattering oil, horrified of smoke detectors going off (especially when I lived in an apartment), and terrified that I would start an oil fire and forget that throwing water on oil fires only makes them worse instead of putting them out. But over the years and with lots of experience, I taught myself that frying isn’t scary; it’s actually pretty easy and fun. And the results are so worth it. These days, the only thing I don’t like about frying is the way it makes my house smell. Sometimes I don’t even notice until I leave and come back or until Chris comes home and says, “ugh, why does it smell so bad in here? ?” And I’m all, “here, honey, have a donut and try to forget that the entire house smells like fried food.” Today, along with a fabulous recipe for fried grapefruit donuts, I have a few tips for you to keep your house smelling fresh, even when you’re frying up a feast. When Febreze first reached out to me about a partnership, I realized that it’s rare for me to use air fresheners in my home. I don’t like heavy fragrances or perfumes and tend to get headaches when spraying those types of products in my home. Which is why I was so excited to hear that Febreze has a product for people like me (people they call “scent skeptics”)! Febreze ONE has no aerosols, no dyes, and no heavy perfumes and effectively gets rid of odors without the use of overpowering scents. Hooray! Keep reading for a chance to win a bottle for yourself in one of their three fragrances- Mandarin, Bamboo, and Orchid! So, you’re just about to fry up a beautiful batch of donuts. You can’t wait to have your friends come over to enjoy fresh donuts, coffee, and conversation… But, wait. How can you have guests in your house when it smells like a fast food joint? Ugh. Don’t worry, these tips will help you get rid of the fried food smell and keep your house smelling fresh! Open a window before you start frying: I usually open my sliding screen door, but in colder weather, I just crack a window in my kitchen for the short time I’m frying. This helps so much with getting the air moving. On that note, if your stove has a ventilation fan, turn that on before frying. Close doors to bedrooms and other rooms you want to keep the smell out of. Fried oil smell can travel, so be sure to close bedroom doors and doors to any other rooms you want to keep the smell away from. Use clean oil and don’t let it get too hot: Oftentimes, people save their frying oil to reuse it. There’s nothing wrong with this, but the more your oil has been used, the worse it’s going to smell. On that note, if you let the oil temperature get too high, it’s more likely to smell bad. Clean up as soon as possible. You need to let hot oil cool before you can dispose of it, but don’t let it sit on your stove all day. As soon as it’s cool enough to get it out of your kitchen, do it. I pour mine back into an old container, put the lid on tight, and put it in the garage. Also make sure you wash out the pot and clean up any spills as quickly as possible. Always spray Febreze ONE in your kitchen area when you’re done frying. I’m loving Febreze ONE because it has the same odor elimination power as other Febreze products, but with no aerosols, no dyes and no heavy perfumes for a light, fresh scent. Instead of masking the fried oil smell in my house, Febreze ONE helps eliminate the odor, while adding a simple, light fragrance. I’ll admit, I’m what Febreze would call a “scent skeptic.” Febreze recently conducted a survey and found that “half of Americans typically avoid using strong aerosol air freshener sprays BUT 91% of folks would be interested in trying an air freshener that did not contain aerosols, dyes and heavy perfumes.” So, I guess I’m not alone! 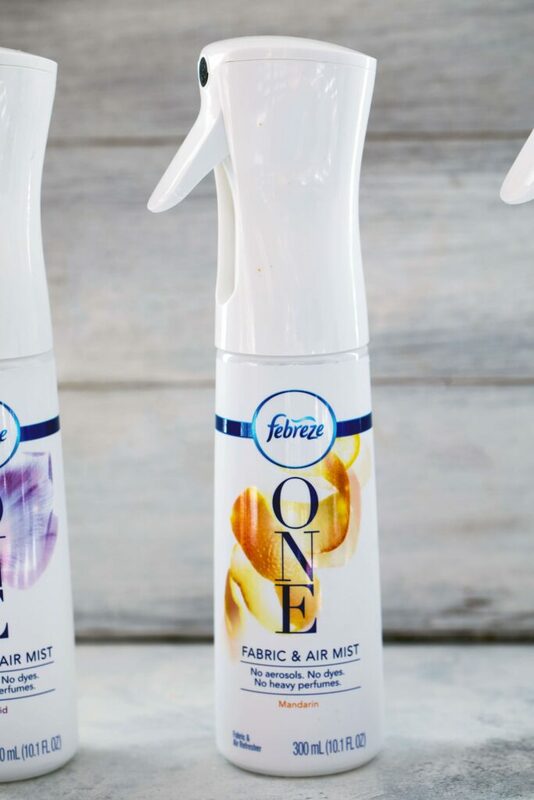 They formulated Febreze ONE so we can all love the air we’re in and bring us to a #ONEStateofMind. So, I went into my donut making feeling a little more confident in the fact that I could come out of it with both a delicious batch of donuts and a fresh smelling home. I love all things citrus, which is why I decided to not only make grapefruit donuts, but also to spray Febreze ONE Mandarin when I was done. For me, making donuts is therapeutic and already helps me get to my ONE state of mind. I love kneading the dough, watching it rise, rolling it out, and cutting out the donut rounds. It’s the perfect baking activity for me since it’s not fancy and there’s no crazy decorating involved. For these donuts, I made a grapefruit jam and also found this a therapeutic process. Literally, all you need is grapefruit and sugar and in just 20 minutes or so, you have a batch of jelly. The toughest part is supreming the grapefruit, but I like a little tartness, so I didn’t worry too much about getting rid of all the pith. Chris loved this grapefruit jam so much, he’s been using it on peanut butter and jelly sandwiches all week. With my donuts baked and my grapefruit jam made and cooled, all I had to do was fill the donuts. And dance around my kitchen spraying Febreze ONE Mandarin. When I first sprayed it, I wasn’t even certain it worked since the mist is so light and fine (without using an aerosols) and there’s no hit-you-in-the-face fragrance. But once I did smell the fragrance, I immediately noticed how light and natural it smelled. The Mandarin fragrance reminds me of fresh squeezed juice and how much kitchen might smell after I juiced a few oranges. Basically, heavenly. The Bamboo fragrance smells like when you first step outside on a spring day after a rainstorm and the Orchid like you just brought home a fresh bunch of flowers. All three of them are incredibly light and natural smelling. They’re also sold in refillable containers, which is pretty awesome. And the donuts? Just one more little piece of my own personal heaven. Sometimes when I make homemade donuts, I get a little crazy with them, so it made me happy these grapefruit donuts were so simple. A very basic vanilla flavored donut with a dollop of tart jam. Perfect for enjoying with a cup of tea or coffee. Especially when you’re dying for spring to come and your location isn’t exactly delivering (I’m looking at you, Boston). We are big grapefruit eaters in my house (I generally eat half of one every single day) and grapefruit donuts are just one more way to enjoy them. Okayyyy so they may have just a tad more sugar in them then a grapefruit half, but everyone deserves a treat once in a while. And everyone deserves a house that doesn’t smell like a fast food restaurant. I know I’m never going to stop frying food in my kitchen, so I’m thrilled to have a product that helps keep my home smelling fresh. And now I’m tempted to see if Febreze ONE also acts as a hair spray and body perfume (it DOES remove odors from fabrics!). So when I pick my husband up from jethe train station after I make donuts, he doesn’t get in the car and say, “Whoa. You smell like fried food.” Sigh. But guess what? Homemade grapefruit donuts always make up for a smell spouse. 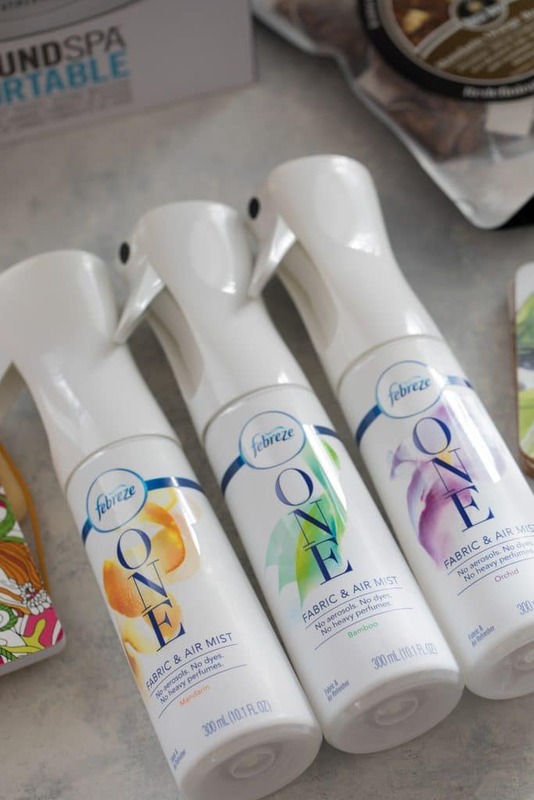 For a chance to win a bottle of Febreze ONE, comment on this post letting me know which Febreze ONE fragrance sounds the best to you. And are you a scent skeptic like I am? Comment by Friday, May 4 at 11:59 p.m. EST for a chance to be one of two winners! 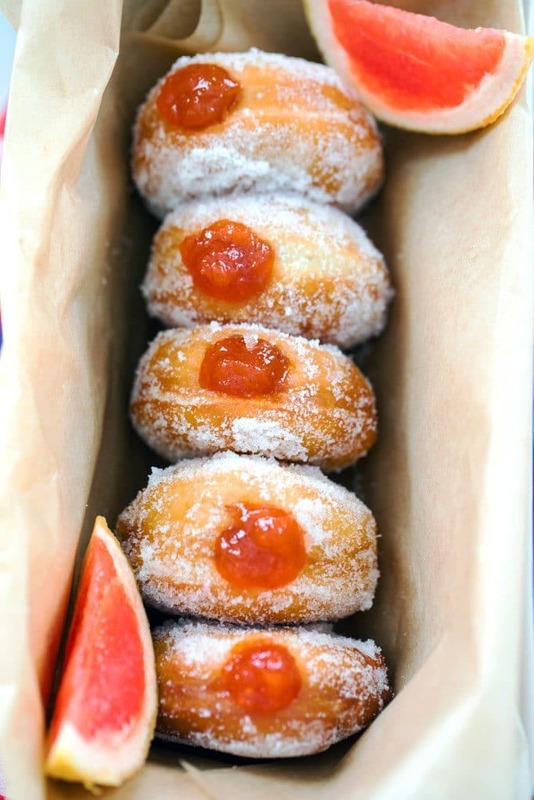 These Grapefruit Donuts are fried to perfection, rolled in sugar, and then filled with a homemade grapefruit jam. In a small bowl, sprinkle yeast over warm water. Stir gently and then let rest for about 5 minutes, until mixture gets frothy. In a stand mixer (or in a big bowl), whisk together flour, salt, and 1/4 cup sugar. Add milk, vanilla, egg yolks, and yeast mixture to the bowl and blend together using your dough hook if you have one (if not, use a wooden spoon). With mixer on low, slowly add butter in. Once butter is added, increase mixer speed to medium-high and beat dough for about 3 minutes. If you don't have a dough hook, take dough out of bowl and knead on a lightly floured surface until smooth and elastic. Keeping dough in the bowl, lightly sprinkle with flour and cover bowl with a kitchen towel. Place bowl in a warm spot to rise for about 2 hours. 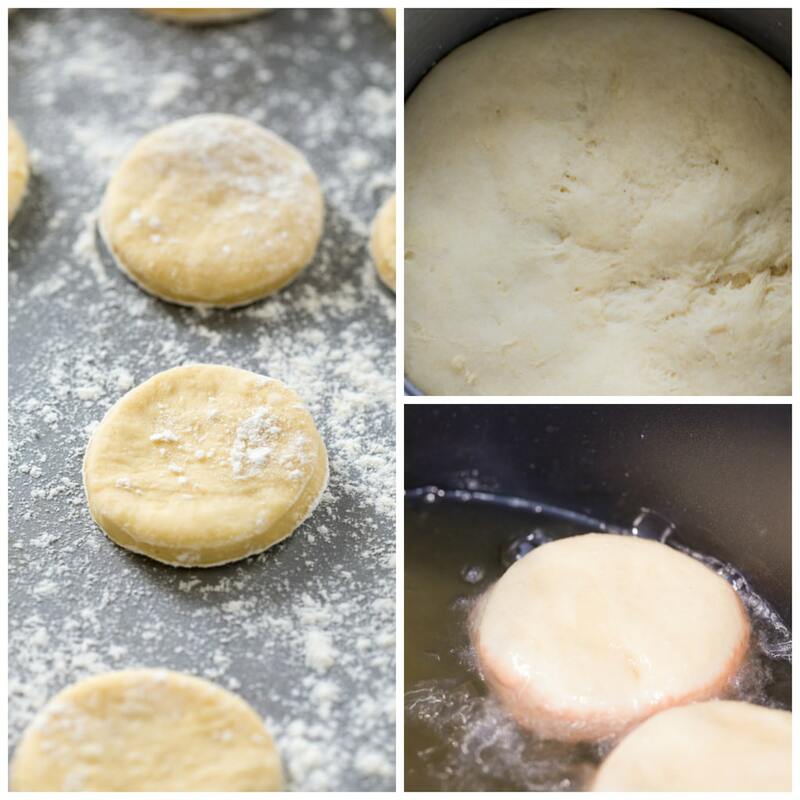 Place dough on a lightly floured surface and roll into a square about 1/2-inch thick. Using a biscuit cutter or the top of a drinking glass, cut out as many rounds as possible. I used a 3-inch biscuit cutter and got about 18 doughnuts. Place rounds on lightly floured baking sheets. Cover baking sheets with kitchen towels, place in a warm spot, and let rise for about 45 minutes. In a large stockpot, heat about 2.5 inches of canola oil to 350 degrees. Place remaining 3/4 cup sugar in a shallow medium bowl. Once oil is heated, put 3-4 doughnuts at a time into the hot oil. Let fry for about a minute and then flip over to fry on the other side until donuts are golden brown on both sides. 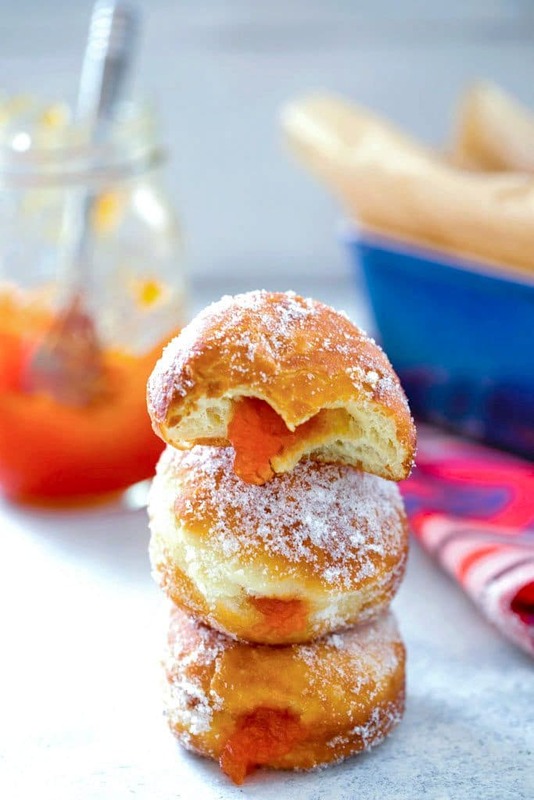 Place fried doughnuts immediately in bowl of granulated sugar and toss to coat. Then place on a paper towel covered plate to let cool. Fill a pastry bag, fitted with a 1/2-inch round tip, with grapefruit jam. Insert the tip into the end of the cooled doughnuts and pipe about 2 teaspoons of jam into each. 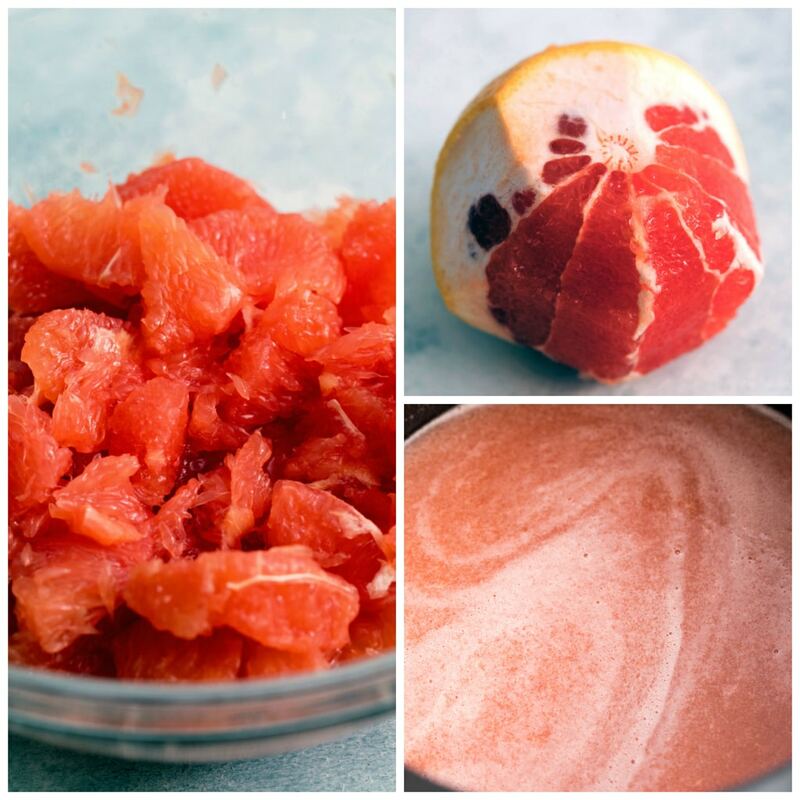 Once segments are all removed, place grapefruit segments and juice in a blender and process until smooth. Pour grapefruit mixture into a large saucepan and over medium-high heat, bring mixture to a boil (mixture will likely be foaming). Once boiling, lower heat to medium-low, add in zest, and let simmer for about 25-35 minutes. Jam is done when it registers at 220 degrees on a thermometer. If you don't have a thermometer, you can test jam by placing a small plate that's been in the freezer and dropping a little bit of jam on it. If it firms up, it's done. Allow to cool and then store in a jar in the fridge until ready to enjoy or fill donuts. Please note that recipe cook time doesn't include 2 hours and 45 minutes of rise time for donuts. 22 Responses to "Grapefruit Donuts"
I got ahead on this recipe for the weekend and made the jam today, it is phenomenal!! Can’t wait to try the doughnuts on Saturday, thanks so much! I could eat that grapefruit jam with a spoon! Your doughnuts look so fantastic! They look utterly delicious with homemade grapefruit donuts and so very tempting! I am in doughnut heaven! I love your recipe and the grapefruit jam is awesome. I also love the Febreze products, they are fabulous for the home. Oh wow, these doughnuts look and sound amazing! I would never have thought of trying grapefruit jam I bet they taste delicious! That grapefruit jam looks DIVINE. I don’t like overly sweet donuts so I imagine the tartness of the grapefruit would cut down on that a bit. I’m definitely one of those people who can’t do super strong fragrances… maybe I should try this new Febreze stuff! And then fill with the grapefruit jam! Oh my they look incredible! I never tasted grapefruit donuts, but I’m drooling all over that jam, I bet they taste amazing as they look! 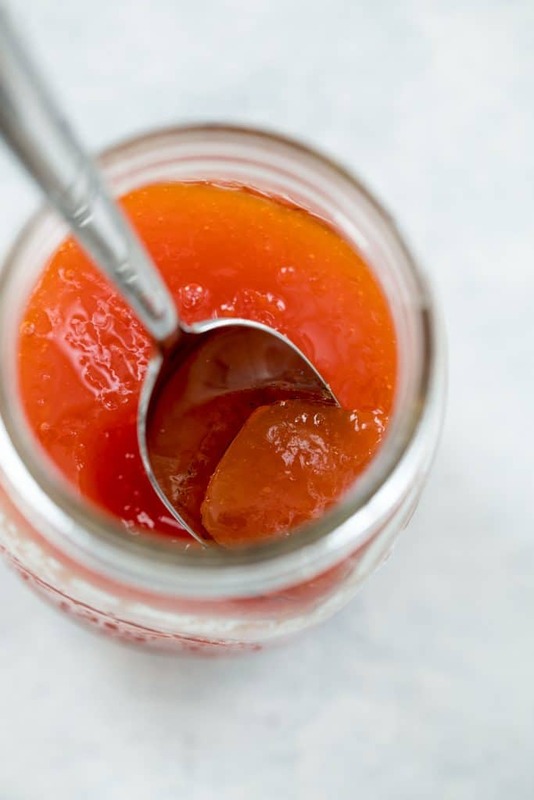 I love everything grapefruit and this jam is my new favorite recipe! Thank you!!! I love grapefruit so much! These donuts are absolutely amazing! Donuts are my one true weakness! 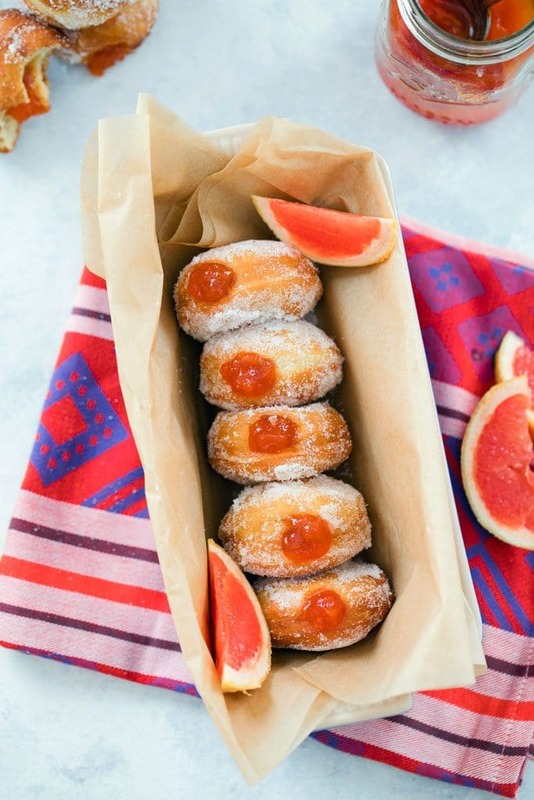 I’ve never seen a donut filled with grapefruit jam and I’m wondering why. It looks like a delicious flavor to try! Wow! Love the flavor combination and they look great too. I bet these are awesome right after they are made! You’re right in my wheelhouse! We just consumed a whole stack of blackcurrant jam filled donuts so I know how amazing these can be! Grapefruit is also one of my favorite so I know what I’ll be adding to my next batch. I have never had a donut with citrus. I am completely intrigued! I swooned when I saw these on Insta! Definitely can’t wait to test out the ‘don’t let your apartment smell like frying’ tips! Just need to work on those pesky smoke detectors. Love the grapefruit filling on these! Such a perfect, tart and sweet flavor! Oh my, these look amazing! The jam itself is to die for, and then stuffed into a donut!? Yes please! p.s. my husband is a total scent skeptic, so I get it! haha! Those donuts sound absolutely delicous! I would like to try the Febreze ONE Bamboo. Great tips on eliminating bad smells when frying. That and the cleanup are always the reasons I avoid frying too often (plus all those calories!). These donuts also look fantastic! 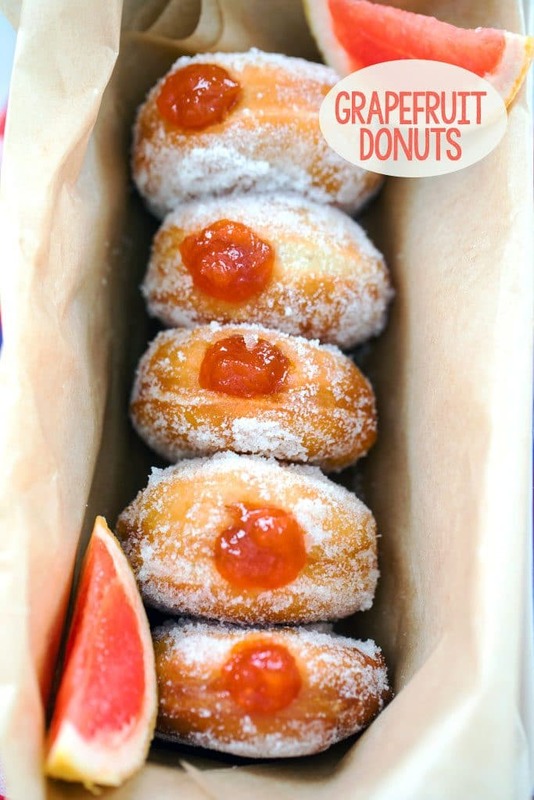 I’ve never thought of making or using grapefruit jam to fill donuts, but what a great and fresh idea.